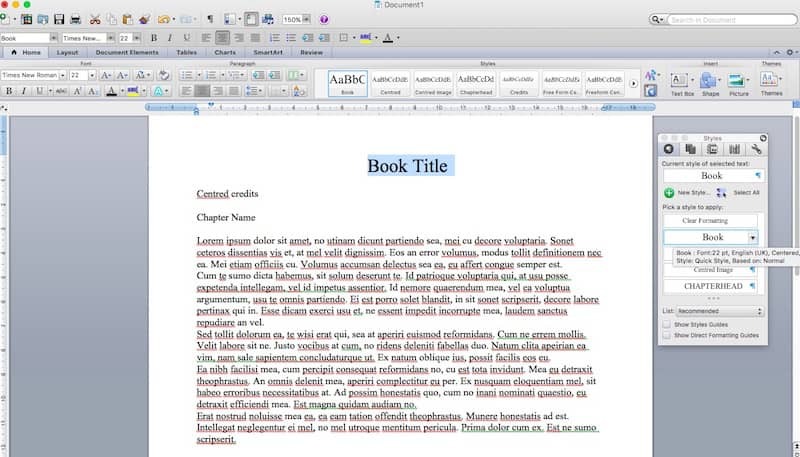 Using styles in Microsoft Word is the easiest way to perfectly format an ebook publishing. 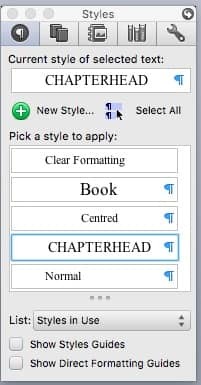 Using Word Styles to format an ebook, by completely reformatting your book’s original Word file before publishing is essential. It ensures that your document will be clean of background code that can affect fonts, paragraph styles and line spacing. 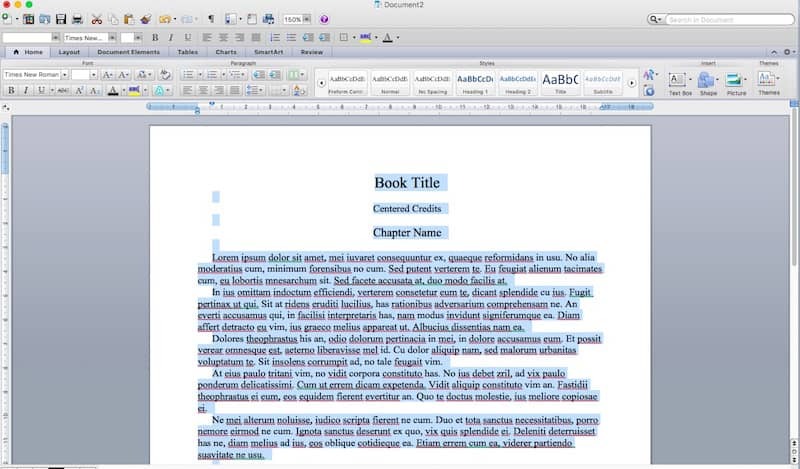 All of these background elements can alter the look of your ebook once it is published. For a full-length novel, the whole process to format an ebook should take no longer than an hour, so it is well worthwhile to spend this small amount of time to make sure your readers get to read a perfect ebook. 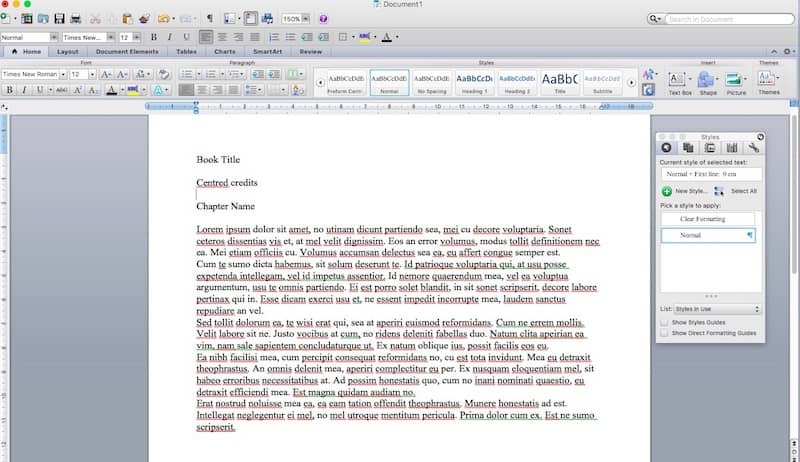 Here is the step-by-step procedure for using Word Styles to format an ebook file. This guide is applicable to all versions as far back as Word 2007. 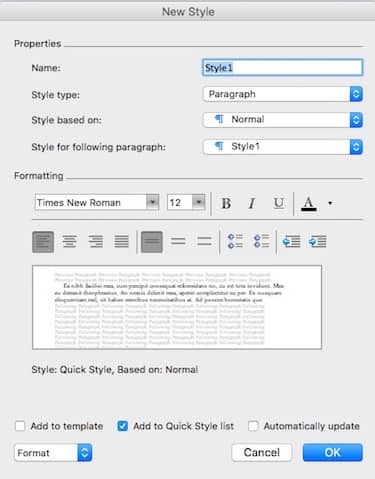 Open your document, and click on the Home tab, and Styles button It will open the styles pane. Depending on your version of Microsoft Word, this may be a pop-up or a sidebar. You can also use the quick styles gallery to make a quick style change. As you can see in the image below, there are a number of built-in styles in use in my example document. 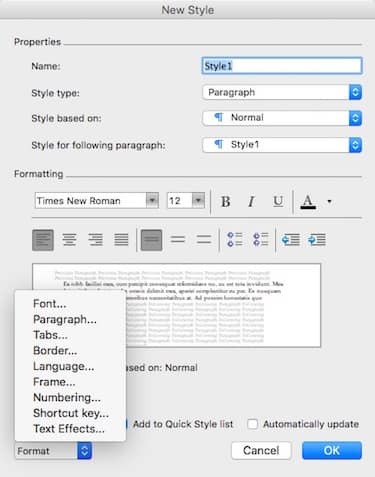 In the Styles pop up or sidebar, select ‘Styles In Use’ to see a list of Styles you have in your document. For an ebook, it is best practice to keep these to a minimum. Normally, you will only need four or five at most. If there are more than this in your document, it definitely needs to be cleaned up. In the image above, you can see that I have created my own Styles, which I find easier to use instead of the default Heading 1 style, Heading 2 etc. But if you want to use the standard format and character styles that are in your documents based template, that is fine too. To create a new style, click on the green plus button. 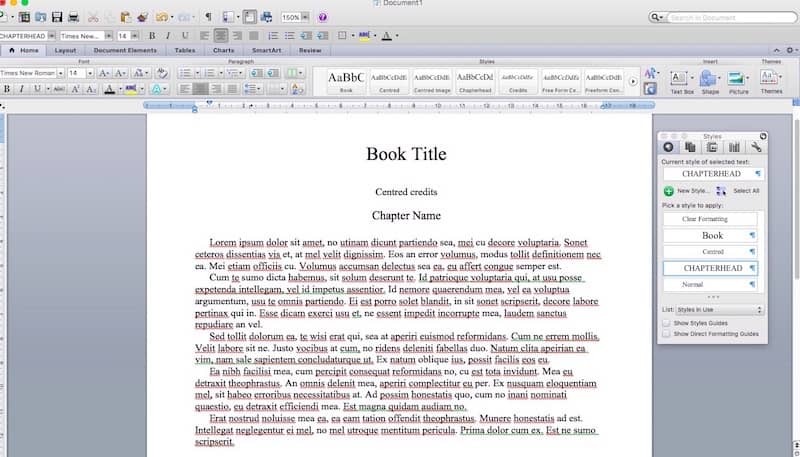 Now you can create a name for your styles, such as Book Title, Chapter Heading or Centred Text. From the main screen, you can access other elements of your new Style. Click the Format button to set other elements and to modify a style. The most important is the paragraph setting. This is the most important part of how to format an ebook. As an ebook must be flexible in how it displays text, you need to use a first line indent, with no line spacing at all. For ‘Normal’ text, the settings above are optimal for an ebook. If your book has tables of contents, you can also apply styles to that section. Once you have your Styles created, modified and saved, now it’s time to clean up your document. ‘Select All’ of your book, and copy it. 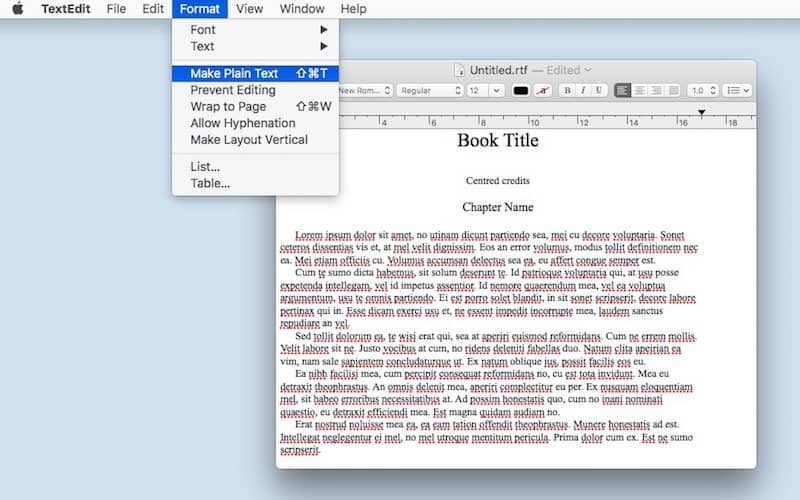 Now paste the copy of your whole book into either Text Edit on Apple or NotePad on PC. 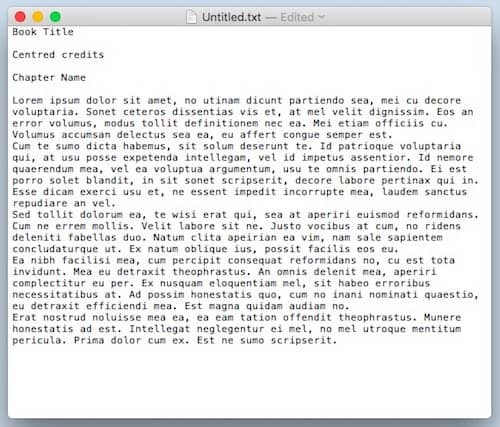 Then, and most importantly, change the format of your text into ‘Plain Text’. This will strip all the background code and formatting from your manuscript. Once you have changed to ‘Plain Text’, your document will look like the image below. Again, Select All’ of your Plain Text, and copy again. Now open a new Word document. DON’T USE YOUR ORIGINAL FILE! Keep your original file as a backup copy. Also, do not use the same file name, otherwise your original will be overwritten when the new document is saved. So perhaps add ‘ebook version’ to your new file name. Now, paste your plain text into your new Word document, and then ‘Save As’ and enter your new document file name. eg: My Book Ebook Version. Then, bring up your Styles window, and click on ‘Styles In Use’. There should only be two Styles in this new clean document as above – Clear Formatting and Normal. If there are any others, which is highly unlikely, it means that your document is not all in plain text, or that there is some hidden code in your document. Try the process of converting to plain text again, but if you find you still have more than two Styles, click on the unwanted Style button drop-down arrow and then click Select All. This will highlight the location of the unwanted Style. Sometimes it can simply be what looks like a blank space or line that is highlighted in blue. Delete these, and you will then have only two Styles. Now that your new document is clean and saved, now it’s time to format the whole book from scratch. First, click on the ‘Recommended‘ or ‘Show All Styles‘ at the bottom of the Styles box. This will show all the Styles, including the ones you created earlier. Now, select an area of text, such as the title in the image above, and then click on the Style and your text will be changed to the new format. Do the same for any credit text you have at the beginning of the book by selecting the text and then clicking the ‘Centred’ Style. Then change the Style of the first chapter heading. Lastly, select the body text for the whole first chapter, and click the ‘Normal’ Style. Continue on through your whole book, one chapter at a time. Don’t forget to ‘Save’ regularly! As you go through your book, one very important error to look out for are blank line breaks or paragraph marks. Ebooks must have flowing text, so any blank lines will cause annoyance for readers because they will create gaps in the text. When you find these blank lines, as indicated above, delete them. 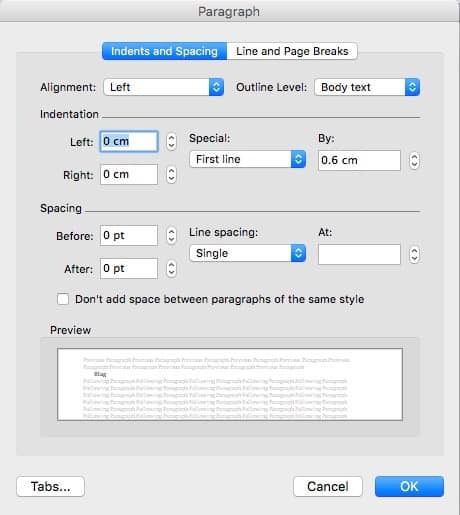 If you follow this procedure for Using Word Styles to prepare your publishing document and format an ebook using your new Word file, it will be absolutely perfect and you can be confident that when you publish your ebook, it will be a pleasure for readers to read – on any device. 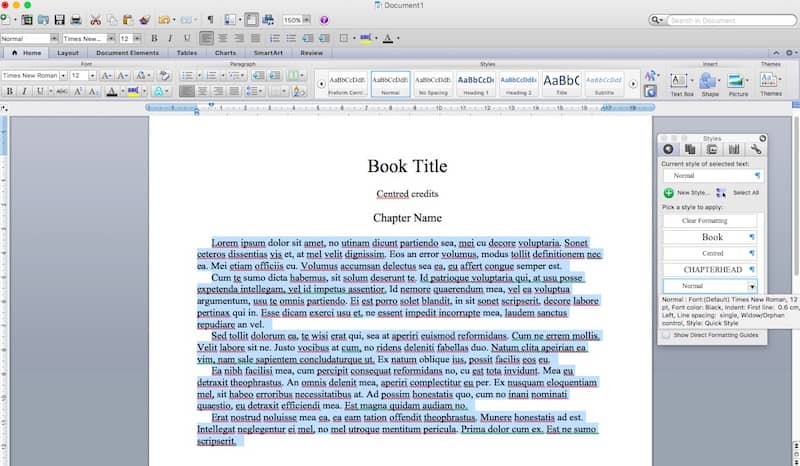 Now that your Word manuscript is perfect, you can easily convert your Word file to epub or mobi files so that you can read your new manuscript as an ebook on a Kindle, iPad, smartphone or desktop computer. By converting before you publish, you will be able to make 100% sure that your new ebook is formatted correctly. This is very helpful, clear and timely for me. I still struggle with the idea that speech should just run on in the text rather than start a new line. When I read an e-book I find this very irritating. Is it a definite no-no? I agree with you, Sheila. Dialogue should start on a new line, even in an ebook. 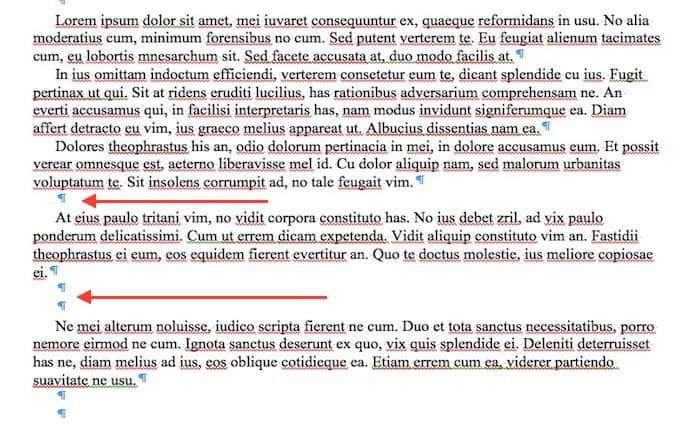 The only real difference between traditional book formatting and ebook formatting is that there is no line spacing between paragraphs, so a first line indent is necessary. I don’t use Word 7. All i have is Word 10. How readily can I use these pointers in 10? It’s exactly the same in any Word version. Thank you for this. At what point in this workflow do I add a TOC and front and back matter? Before copying to TextEdit or after going back to the new word file after TextEdit? Also, what would happen if you instead modified existing styles instead of creating new ones? Thanks? I would suggest adding your TOC after completing your clean new file, Lauren. As for styles, I prefer to work with the standard, normal, heading 1, heading 2 etc. But renaming them or creating new ones is fine. As long as you don’t use too many. How about if we need sections? Use a page break or section break. If we want to out a “header” for a Section, such as we would do in Powerpoint? A very important step is missing, adding character formatting back. The steps above will get rid of any italics added, drop capitals if any and other character formatting. I suggest to “mark up” the document first to be able to add that formatting back, such as putting *i* before anything that is in italics.